Chicken Escabeche for UNDISCOVERED SF, KULINARY Confidential. 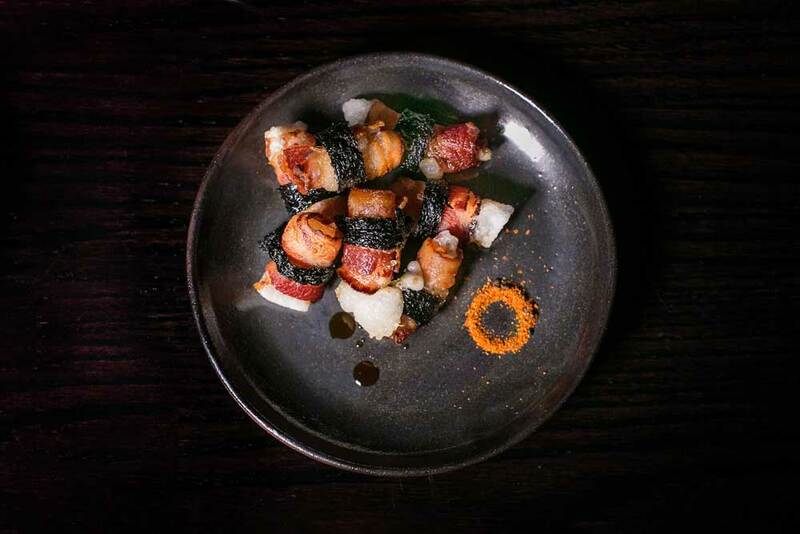 Alchemy is a team of rogue culinary creatives who was born out of SF's best kitchens. Comprised of James Beard nominees as well as up and coming talent, we seek to reveal the mysteries of flavor with every dish. San Francisco is a global city with an extremely savvy food scene. For the new Trademark and Copyright bar, located in the heart of downtown, we created a unique menu fusing the nuances of street food from SF's diverse cultures. 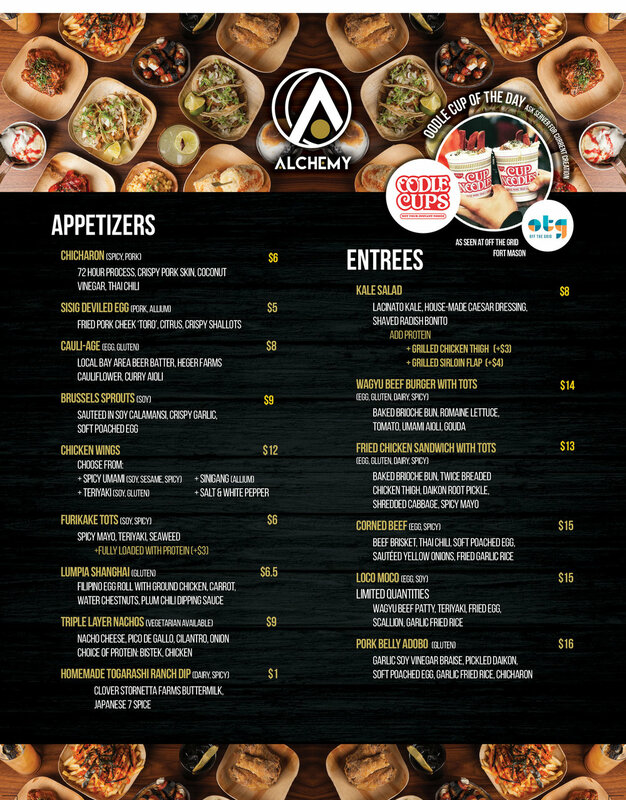 Need Menu Design For Your Concept? From fine dining to street food from any culture in the world, we thrive on using our extensive experience, professionalism, and creativity to create unforgettable menus.